Did you know that The Camping and Caravanning Club’s founding member, Thomas Hiram-Holding was a cycle-camper? The Club is celebrating its heritage by undertaking a gruelling cycle-camping adventure - ‘The Challenge’. Camping and Caravanning Club employees will cycle for six days across the UK starting at Wantage, the place of the Club’s first inaugural meeting, and will continue up the country pitching up at Club Sites and Certificated Sites along the way. In true Club spirit, all of the riders undertaking ‘The Challenge’ have agreed to wear traditional cycling clothing, like Hiram-Holding throughout the six days – think tweed, bloomers and breeches! The final stage of the ride will finish at the Club’s hub-site event at Scarborough Club Site where the Club will officially celebrate National Camping and Caravanning Week. All of the money raised will go to cycling charity, Sustrans. 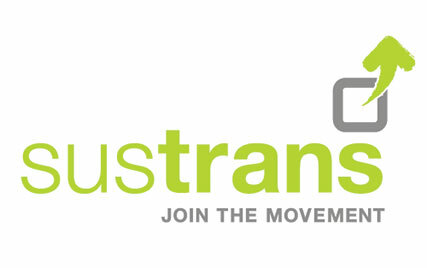 Sustrans is a leading UK charity enabling people to travel by foot, bike or public transport. For all of the latest challenge updates, follow us on our social media channels! Follow the Club’s cycle-campers as they complete their gruelling challenge in the spirit of founding member Thomas Hiram-Holding and friends. The riders will depart from its Market Square and set out on their six day adventure on Oxfordshire’s rolling roads. Notable destinations along the first part of the stage will include Dorchester Abbey and the picturesque village of Sutton Courtenay before the riders start climbing through National Park Authority land at Watlington to White Mark Farm to join Aylesbury Vale District Association. After a brief stop, the riders will continue through the woodland towards Piddington and High Wycombe. High Wycombe certainly has that name for a reason – as the riders will cycle up some of the steepest climbs of the first stage in this town! Starting at the Cambridge Club Site, which is located just 200m from the third stage of the 2014 Tour de France route, the riders will ride north towards the ancient parish of Dry Drayton and the watery junction of the Great Ouse river and the man-made Bedford Levels at Earith. The riders will stop at Sawtry, a historic village with the ruins of its famous abbey dating back to the 11th century, before climbing up toward Peterborough, where they’ll stop at Ferry Meadows Country Park to catch up with campers at Fenland District Association meet. The final 25km will see the riders cycling to the north west of Stamford for an overnight stay at Top Farm Certificated Site, Ryhall. The riders will enjoy a relatively flat day on Stage Three, cycling through LincolnshireTeversal Club Site. Their first stop will be at the Club’s Festival of Photography AGM Meet, which is located north of Stamford, before the riders head on through picturesque Exton Park. Notable destinations along the route include the historic market town, Wymondham which was once a M16 World War II location and Nottingham City Centre, the home of Robin Hood! The riders will continue cycling north, stopping at Kimberley Caravans, before finishing at Teversal Club Site which is ideally located by Silverwood Country Park. Starting at Teversal Club Site, the riders will set out into the Peak District National Park for Stage Four. The riders will cycle through Clay Cross before heading down into Beeley and through the beautiful Chatsworth Estate, where they may even get to spot the many deer that roam the area. Taking a break from the climbs, the riders will then pedal across the valley from Grindleford into the pretty village of Hathersage which is very popular with walkers and cyclists alike. The route continues west to Castleton, which is home to Blue John’s Cavern and Pevril Castle, before starting the long climb up the infamous Winnats Pass. The riders will then drop down into Chapel-en-le-Frith before climbing once again through Hayfield and Glossop, where the riders will be stopping for refreshments at Glossop Caravans, before reaching Crowden Club Site. Stage Five travels up through Yorkshire – and it’s a tough ride with over 2,300m of climbing! Starting at Crowden Club Site, the riders will immediately hit the hills as they cycle around Woodhead Reservoir and onto the same roads that the 2014 Tour de France professionals will also face in July. The riders will cycle through Slathwaite, up Scapegoat Hill towards Sowerby Bridge. Like the 2014 Tour de France route, the riders will also climb up to Mytholmroyd before heading over to Hebden Bridge. The riders will then continue onto Haworth, past the Bronte Sisters Museum, which is also part of the Tour route. Further on, the riders will then stop at Spring Bank at Ilkley RUFC to catch up with Huddersfield District Association, before leading on into the town of Darley which has won many regional and national ‘Britain in Bloom’ awards! Finally, a flatter route is promised for the last section of the stage, winding through the beautiful villages of Bishop Thornton and Bishop Monkton before arriving at Boroughbridge Club Site. Start: Boroughbridge Camping and Caravanning Club Site. The sixth and final stage will initially travel from Boroughbridge Club Site along flat roads, through the market town of Easingwold, to the Howardian Hills. After a few tough climbs, the riders will drop down to Malton and start the final flat run in to Scarborough Club Site. Scarborough Club Site is the location for the Club’s hub-event site to celebrate National Camping and Caravanning Week 2014. Thank you to our partners for their support. Without their assistance, this challenge wouldn’t be possible.